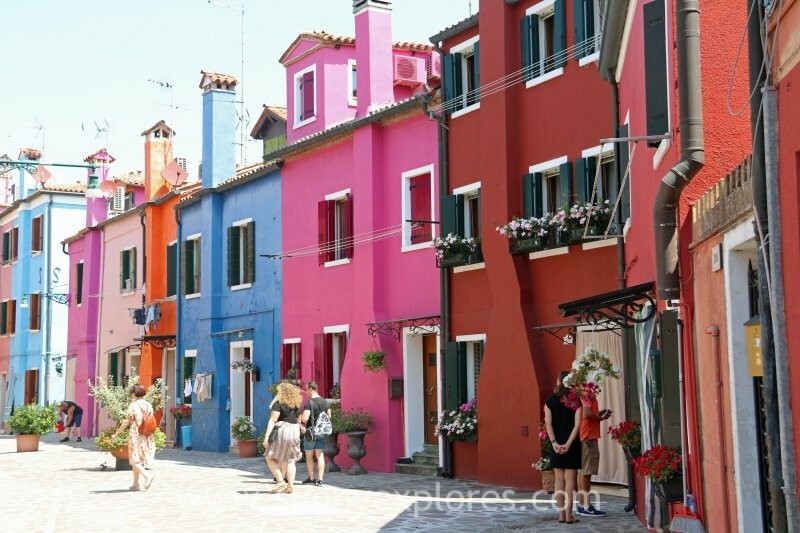 Burano is an intriguing island with its colorful houses that reflect into the green water of the lagoon and the channels. 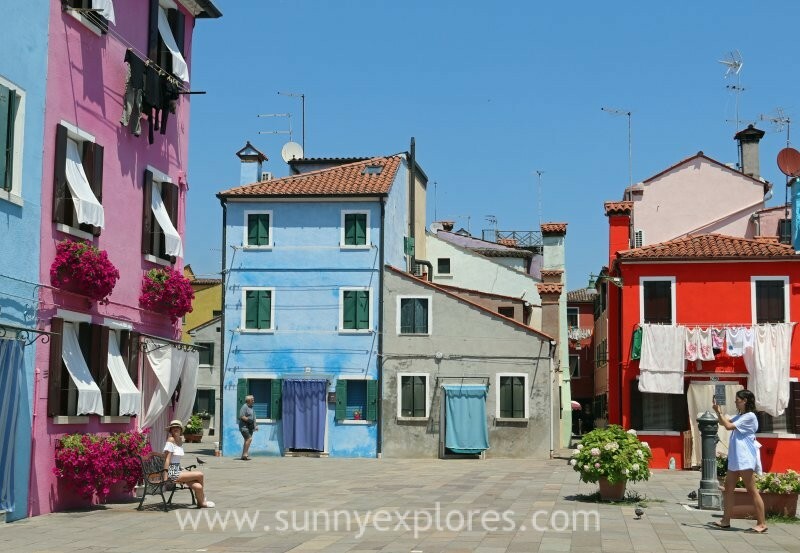 It feels like stepping back in time with the leaning bell tower, elderly ladies embroidering Burano lace and fisherman coming in with fresh fish in their traditional boats. 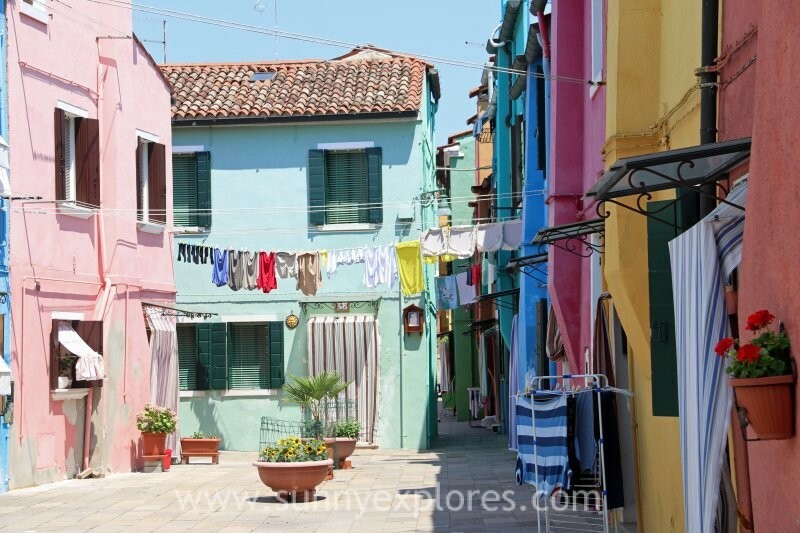 About Burano are lots of stories to tell. I wrote about the mermaid and the lacemakers in one of my previous blogs. 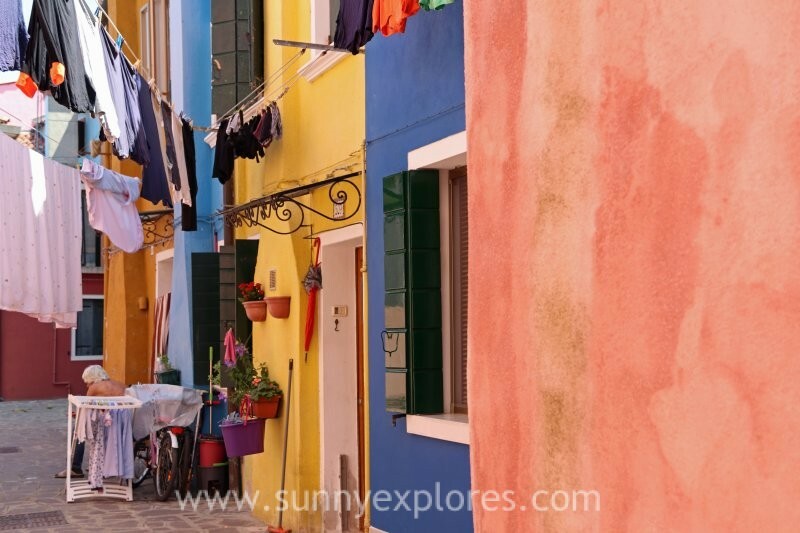 It’s said that the colorful houses are also connected with the sea. 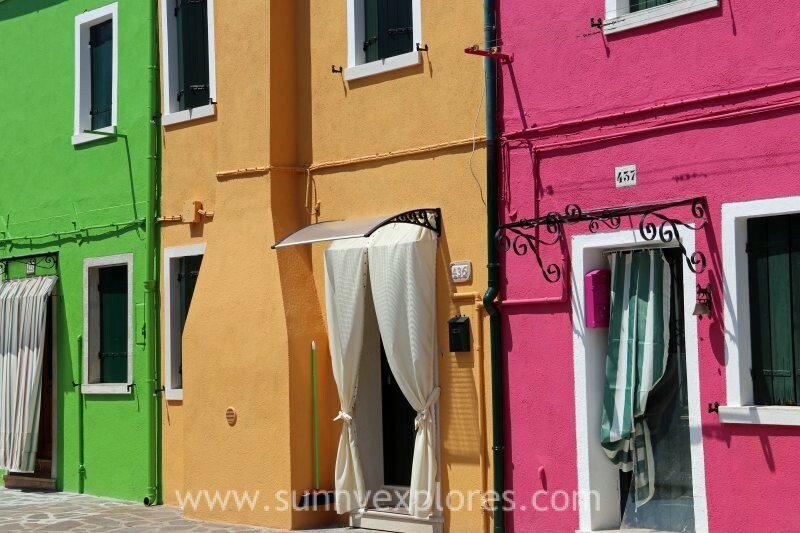 An ancient legend narrates that fishermen painted their houses in bright colors to see them from long distance when they were far away for fishing. Even the islands name tells a story. The inhabitants of Altino in the Abruzzo fled from a barbarian invasion. 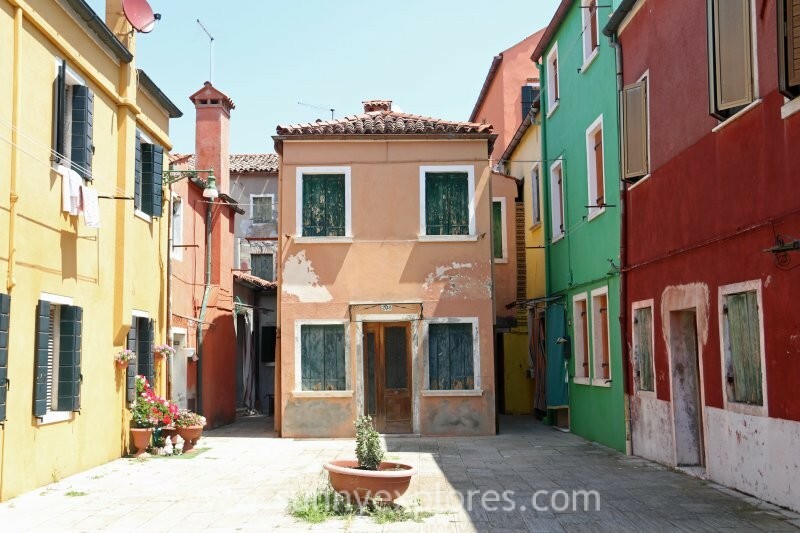 They found refuge on the islands of lagoon of Venice giving them the names of the six doors of their thrown over city: Murano, Mazzorbo, Burano, Torcello, Ammiana and Costanziaca. 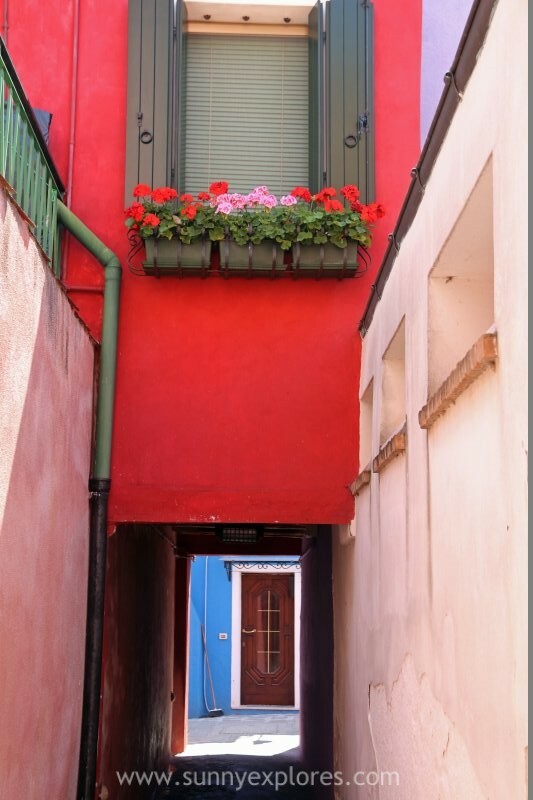 The name ‘Burano’ comes from the Porta Boreana, the northern door of the city. In these islands the first houses were build on palafittes, with walls made of woven canes and afterwards plastered with mud. They were very light buildings with only one room, because the ground was too tender to carry more. Beds were made of dry leaves. Later these raw houses were replaced by buildings made of bricks and the older ones were used as warehouses. 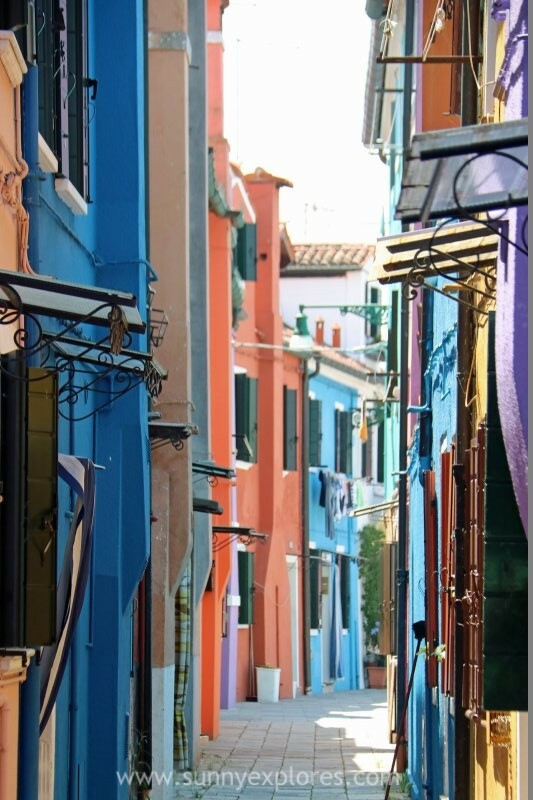 Probably there once was an earlier Burano, located closer to the open sea. Some ancient texts speak of an island situated near the sea. But the inhabitants had to leave this island due to the strong tidal waves. 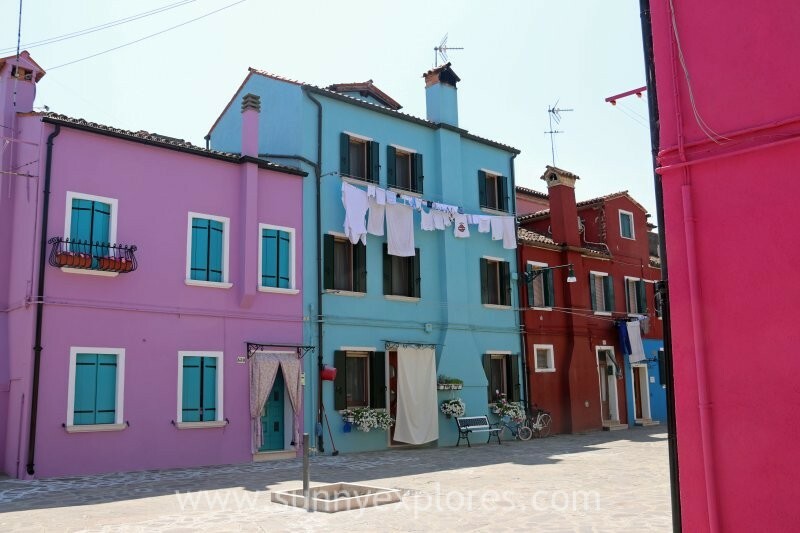 They moved to the Burano we know today. 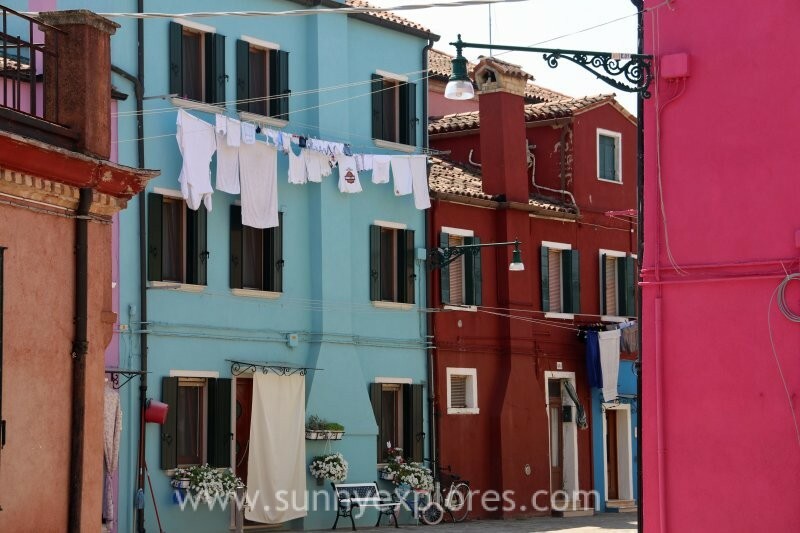 For a long time Burano was poor, inhabited by fisherman and farmers. The lacewokers brought economical prosperity, exporting the beautiful laces all over the world. 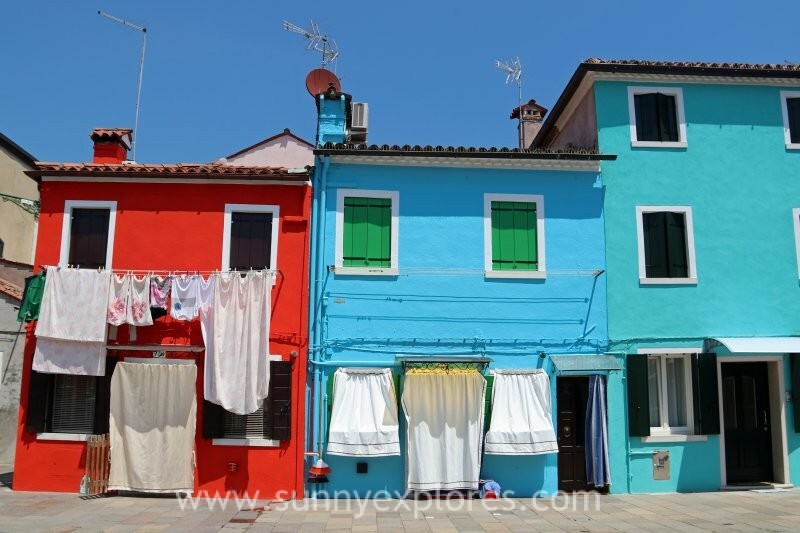 Nowadays tourism is growing, since many people want to see the colorful houses. 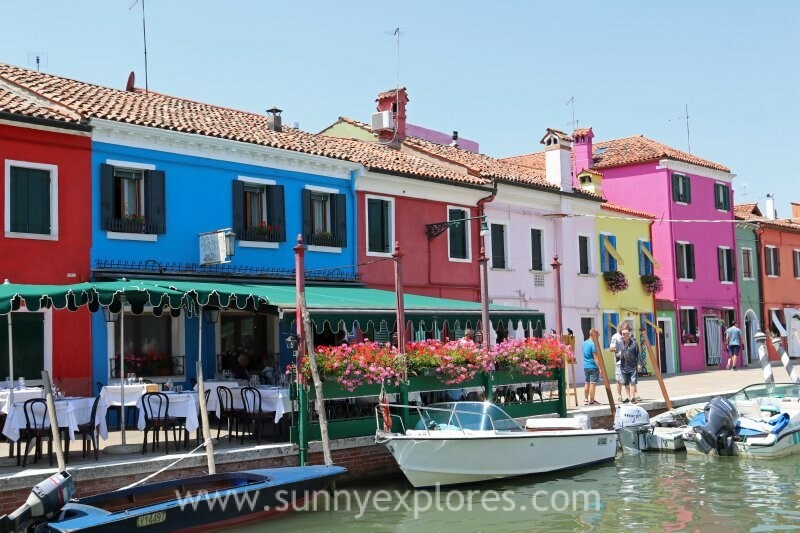 But still, it’s a quiet part of Venice, full of colors, with water everywhere. No stress, just a peaceful place to wander around and get lost in the small streets.